While the table featured here has a polished nickel base and a glass top, there are a number of configurations and material varieties available in the Knoll Platner Table design. You can have a wooden or marble top and the base is also available in a metallic bronzed finish. A bronzed glass top has also been added to the range. 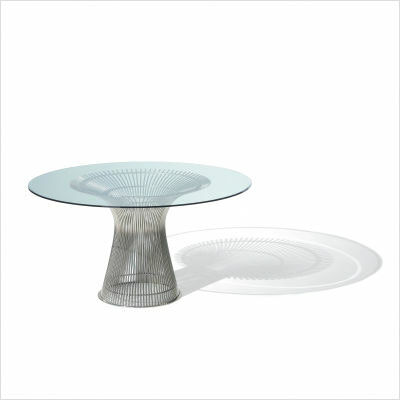 The Knoll Platner Table is available from Modern Furniture. Previous articleTord Boontje – Lights, Camera, Inspiration!